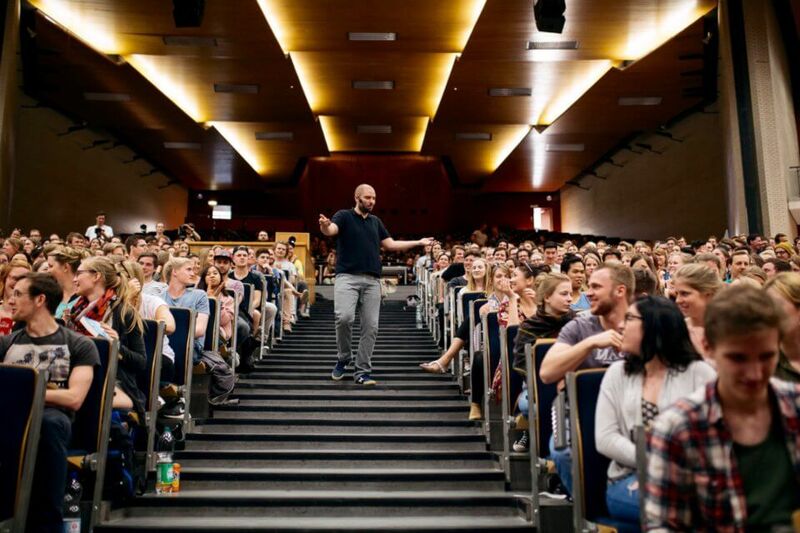 – Have you ever thought about giving lectures outside Croatia? – asked Igor shortly after my Croatian tour in late 2015, with lectures about my experience in New Zealand. It turned out that this question as well as everything that happened afterwards determined the course of my life the last year and a half – just one simple question. Igor took up organizing a lecture in Brussels and found a pub spacious enough to accommodate around 100 people, created a Facebook event and invited his friends, hoping enough of them would respond accordingly. Few days later there were more than enough people – over 40 thousand. 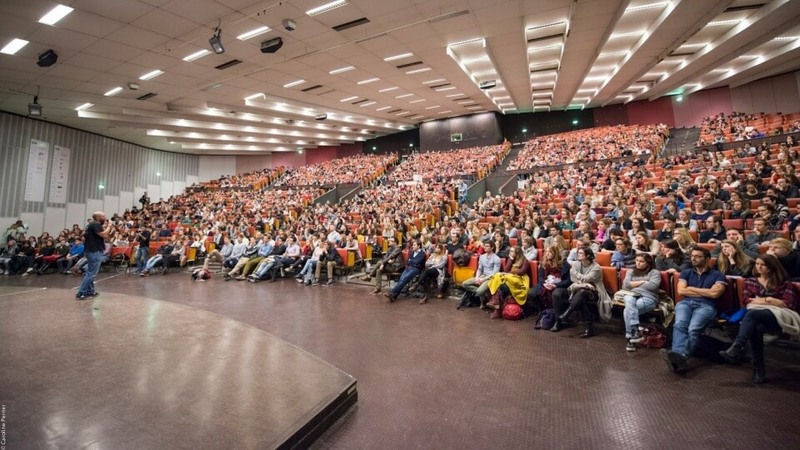 We cancelled the lecture at the pub, rented a university hall with 1432 seating places and started selling tickets – selling out the hall two days before the lecture. Equally surreal as climbing the stage in approximately 50 other cities after Brussels and telling my life story. Surreal and above all wonderful – seeing that my own story could, to a certain extent, influence lives of so many people. And that maybe, just maybe, I could transform something inside their heads, just like other travellers’ numerous stories inspired my own life changes. – So, where shall we go for our honeymoon? – she asked with a smile on her face, before we even left the room with an improvised altar somewhere in wider centre of Amsterdam. There was only me and Maria on our wedding, as well as a girl who asked if we promise to love each other for better or for worse – in the next 24 hours. To cut a long story short, a couple of years ago this same girl, out of sheer sport, organized a ceremony for two friends who didn’t want a traditional wedding. 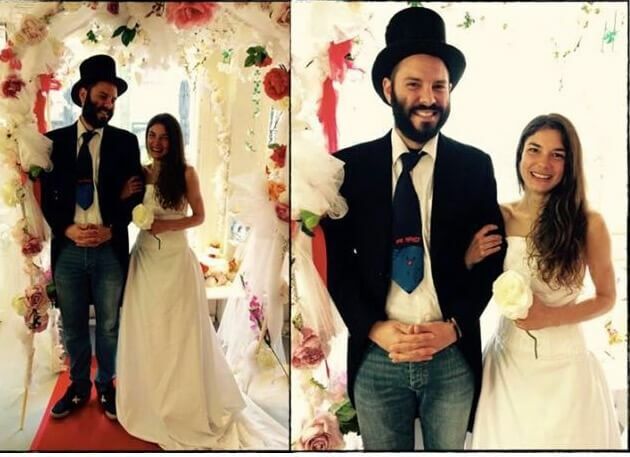 She rented a suit and a wedding dress, cheap rings, planned for her friends to walk up to the alter while their favourite song is playing from the laptop, came up with really cool vows they would say to each other, and thus married them – but only for 24 hours. The word spread. The girl who marries you for 24 hours. No guests, no paperwork, no fuss or stress that accompany a typical wedding, in fact, in my opinion, this is much truer and more real – we promised we’d love each other in the next 24 hours, and be with each other for better or for worse. On real weddings people promise eternal fidelity and love to each other – without even considering eternity as a really long period of time. The longest. – Where would you like to go? – I asked. – I’d like to go to Bali! – she promptly replied. – Why Bali? – I asked. – Since we’re departing soon, early summer, lots of destinations are out of the picture – she started listing her reasons. 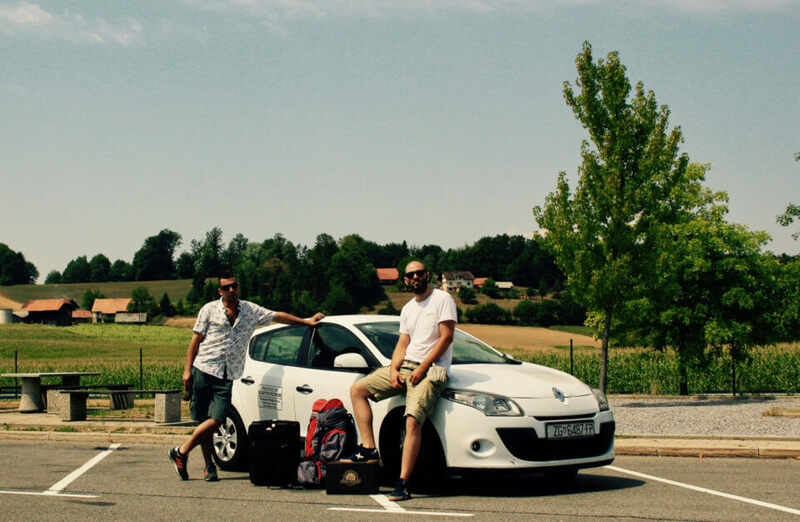 – We’ve already seen most of Europe, and besides, it’s expensive. The southern hemisphere is cold, it’s rainy season in most countries around equator, while Bali on the other hand is perfect, warm, dry and cheap. Her arguments sounded convincing enough. Couple of weeks later we were up in the air. – Would you like some champagne? – a visibly cheerful stewardess asked. We looked at each other, smiled and accepted the offer. We were flying business class, for the very first time. Everything was different from our usual flights – no waiting in line for check-in, you have your own bus with leather seats taking you directly to the airplane, abundant leg space, with champagne and food included. As much as it was all nice and comfy, a part of me felt queasy. 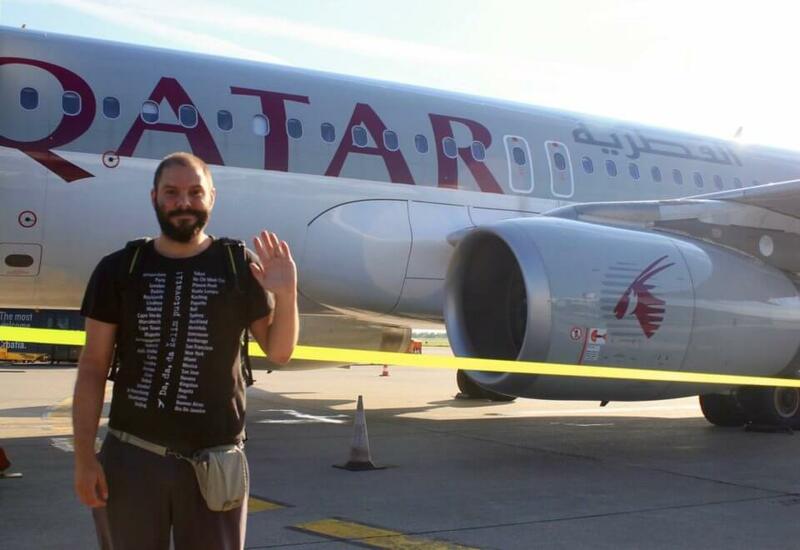 For years I travelled around hitchhiking, sleeping in tents and surfing other people’s couches, saving every coin I had – and now I’m flying business class, the price of which could pay a couple of months’ journey. 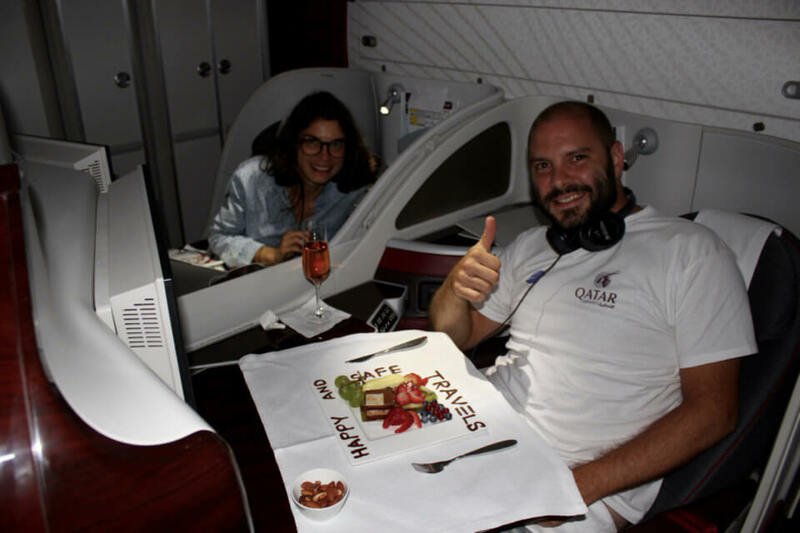 My conscience was a bit calmed by the fact that we haven’t paid for this luxury – we bought economy class tickets, but later on I got the idea to use my I’m-a-travel-blogger status and send an e-mail to Qatar Airways marketing department. Promotion for them, business class tickets for us. Five minutes later, we had a deal. Zagreb – Doha, Doha – Denpasar. It was the shortest trip ever, even I can say so, and I’m definitely not fond of flying. The other flight was even more luxurious than the first, with limitless quantities of free food and drinks, we also got a pyjama and the seats that turn into beds. Bali. Beautiful beaches, turquoise sea, bamboo houses, rice fields. Exotic tropical fruits, amazing sunsets. Parties till dawn, dealers of all kinds of drugs sentenced to death penalty. All of this is Bali. Our plan for Bali was much more innocent. I decided to use this time to write my second book, and Maria decided to dedicate herself to her new passion and, possibly, a future career – yoga. After a couple of days of adjusting to a new climate and time difference, we started off with the most important thing – home hunt. 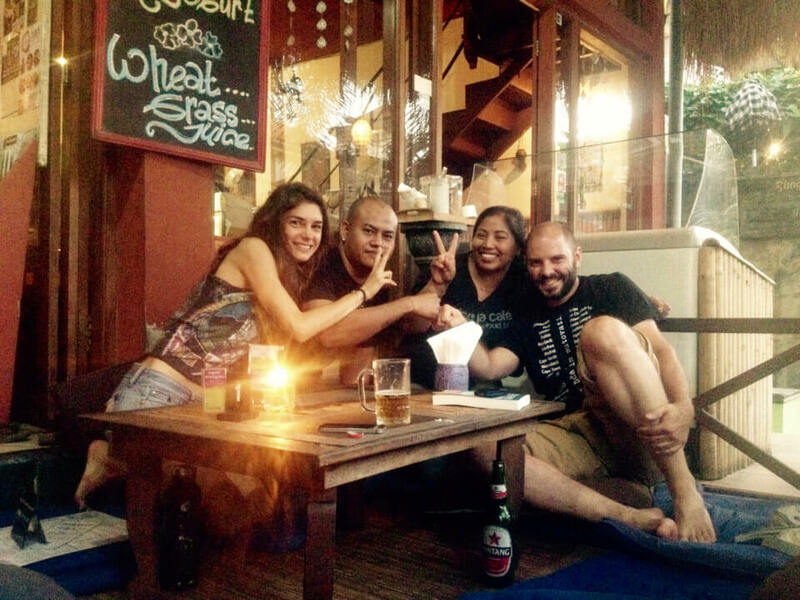 This was the most important element of our stay, especially bearing in mind that we’ve decided to spend the entire period of three months in the same place – Ubud. 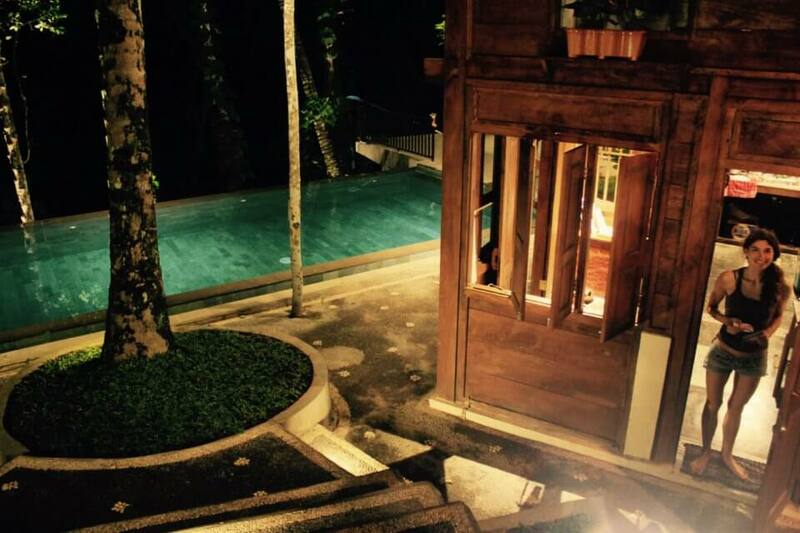 No point moving around or travelling if we came to Bali for work. Couple of walks later, we opted for a wooden house quite close to city centre. The rent could have been cheaper, but we were governed by the thought we could afford the same price we were paying for our flat in Zagreb – and ended up in our very own house with a pool. Maria rented a bike, I rented a scooter, and our life in Bali could begin. The days seemed identical to one another. I spent the mornings in bed, writing my book. Unlike the first, the one I wrote in Ecuador at the end of my journey around the world, this time the book was much easier to write. I kind of knew how the process of writing should look like, and I also had some cheat sheets – blog posts and experiences I wrote down in my little black notebooks i.e. my travel journals. I also had the video clips I was making all these years, even audio recordings I made each time I came up with something interesting. Maria spent her mornings doing her yoga. The afternoons were spent resting from writing and getting tired in games – on my travels I’ve discovered a sport I grew to like more than any other before – badminton. Even though, up until my trip to Bangladesh, I thought of badminton as a game played by families having a picnic, once I got the opportunity to play on real courts, with a real net, against opponents who can actually play – everything changed. I played badminton in India, in New Zealand, I even started training once I got back to Zagreb. It was the only time of the day that reminded me of my previous travels – I hung out with the locals, did what they did, tried speaking a word or two in their language, and after a couple of matches I ended up at the same street stand with typical street food – sate ayam, chicken skewers. 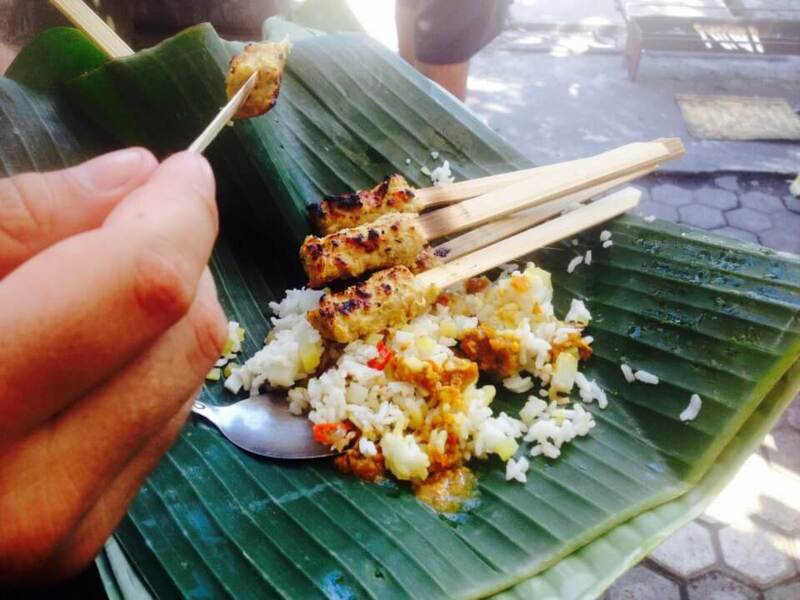 Or sate babi, pork skewers. At the end of each day Maria and I would always end up at the same restaurant, with polite staff and tasty local food. Your dad stayed at the hospital last night, running tests. I’m about to visit him, I’ll be back home in the evening. I’ll write you about the test results – mum wrote in her e-mail. 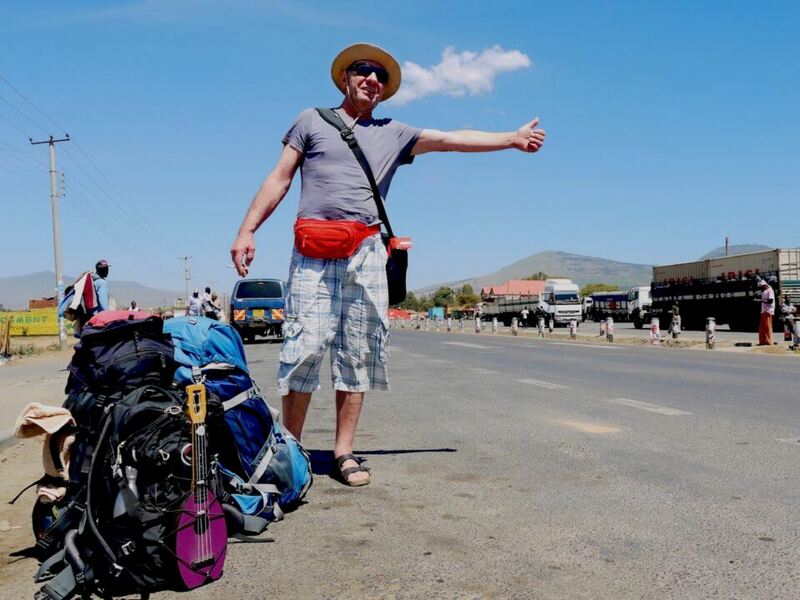 – My favourite moment from all of my travels happened in Kenya – couple of months later, during my new tour, in a sold-out hall in Brussels, again, I was promoting the book about my travel around the world, the one I wrote in Bali. – When my father Mirko came for a visit. I was telling them the whole story: seeing each other after 500 days, safari trip, meeting Maasai warriors, visiting orphanages. However, regardless of that, I wanted to tell them another story, story about deadlines. – Let me ask you a question – I continued. – While you were students, at school or university, when you found out you had two months left before an exam, what did you do the first month, month and a half? A lot of people laughed, thus confirming my assumption – they did absolutely nothing. But just like me, as well as many people I know, they would dig into studying the last couple of days. Increasing panic, the exam is getting closer, the world as we know it will collapse if a professor gives you a no-go. In short, deadlines motivate us to do stuff, to wake up, to stop wasting our time. – However, there is a catch in deadlines – I was getting closer to the point. – Our lives have a single deadline, the moment we die. The problem is, no one knows when this deadline would be, or how much time we have left. We could die tomorrow or we could live for years and years to come. Which means that the non-existent fixed deadlines demotivate us when it comes to thinking or acting on the most important things in our lives. Our dreams, our desires, all those little details our lives consists of. In the end, it often turns out we’re chasing deadlines for small, unimportant things, while the big ones are left to wait. There’s still enough time. Just to get these couple of things straight. The future will be easier. – Why am I telling you this story? – I continued after a short break. – I was telling you the story of my father visiting me in Kenya during my trip around the world. Unfortunately, he passed away a couple of months ago. Whenever I think of him, I’m glad he agreed to meet me in Kenya, I’m glad we got closer to each other during those couple of weeks more than in twenty years of my life, and more. I’m glad because an African travel was his lifetime dream. He could have easily postponed it for a better time, he could have told me not to worry about him, not to spend money on his ticket or similar things. But he didn’t. He didn’t know that his own deadline would catch up with him shortly afterwards, nevertheless he came. It would be very sad if he didn’t. It would be sad if the rest of us miss such opportunities in life just because there are no fixed deadlines. Set up your own deadlines. Do not hesitate when it comes to most important things in your life, search no excuses, don’t wait for perfect conditions. If you wait for them, it’s rather possible they never arrive. 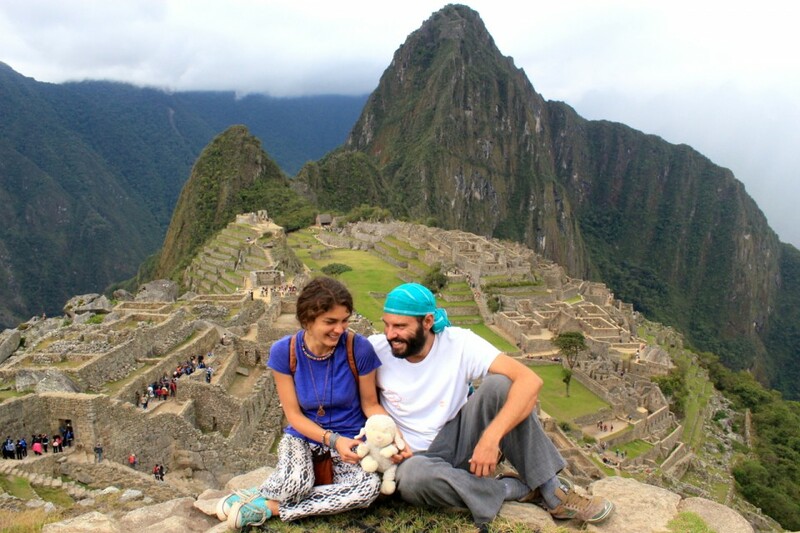 When I got back from the tour, after four years of living together on four different continents, Maria and I decided to go our own separate ways. We’ve loved each other (even more than 24 hours like we committed ourselves to), we had a wonderful time and today we are better human beings than we were four years ago. What more could you wish for from a relationship? So I found myself in Zagreb, alone. With a well known question mark before me. Endless options. A long lost feeling in my gut I haven’t felt for a long time. I was thinking about a question I used to ask at the end of every lecture. That was what I asked the people in the audience who came to my lecture out of curiosity, or thirst for knowledge, or simply to find an inspiration and motivation for their own challenges in life. Now is the time to ask myself the very same question. What would I do? Eight years ago I knew what I wanted – to graduate from the university, pay the debt I had from being a stock broker, travel the world. Three years ago, after accomplishing the above mentioned tasks, I knew what I wanted – a time off from travels, I wanted to publish my first book, the second, give lectures and tell my story. I had a few ideas. Maybe I could work as a lecturer, or a professor at some cool university. Maybe I could run my own juice bar, like the one I worked in before I started travelling. Maybe I could organize another hitchhiking race, get back to travels. These were all maybe-ideas. Insufficient to get going. Therefore, I relaxed, and waited for the first cool idea that comes to my mind, on its own. 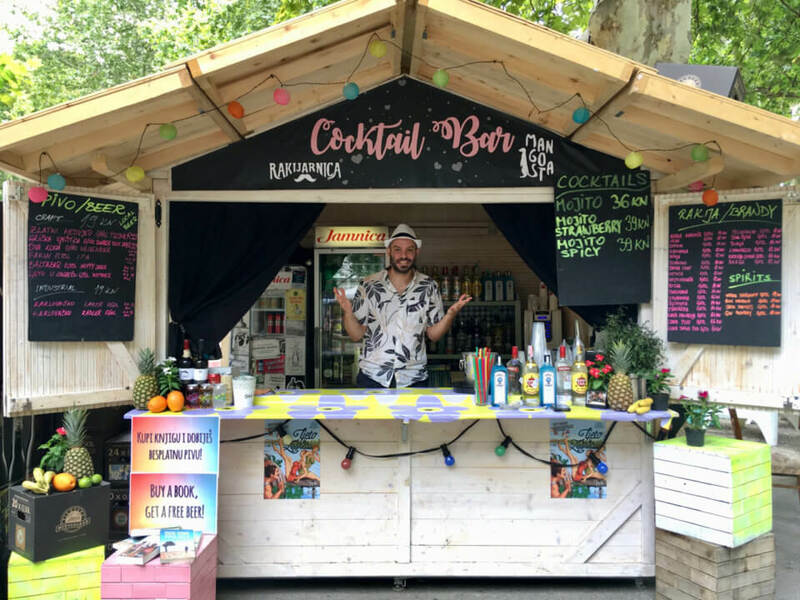 – Would you like to work on a festival? – Mongoose asked. This seemed like a cool idea. Getting back to bartending days, in my own city, working for a guy partially responsible for any knowledge I might have regarding working in a bar. A travel without travelling. Intensity. New people. Smiles. Good company and positive energy. New skills. And it all lasts merely 19 days. I accepted, and for the entire 19 days I did all I could to be the best bartender/waiter in the world. Surely I didn’t succeed, but at least I knew I did my best. Which made me feel satisfied. As well as people around me. Things should be done in the best possible way, with a smile on your face. Whatever that is. – What do you say we finally go to Morocco, now that the festival is over? – Mongoose asked. The other day we started talking about Morocco as a travelling option for August. I’m not sure how, why and who came up with this idea in the first place, but it was crazy enough to let it linger in our heads. We even had this stupid idea of going there by car. – We could – I replied curtly. – When would you like to go? – I’m free tomorrow afternoon – he replied. – Okay, we depart early morning two days from now. We didn’t know where exactly we were going, when we’ll get there, which places we’ll see on our way. In the end, it didn’t even matter. Plans often create high expectations. And then you get disappointed. There was no fear either – years of travelling taught me better. I don’t know what I’ll search for or what I’ll find on this short and somewhat different journey. But it doesn’t matter anyway. Life isn’t about searching. Life isn’t about waiting for the right moment, right person, for money, perfect conditions. Life is about acting. Thought-through or not, it’s all about acting. And creating. Whichever road we take.